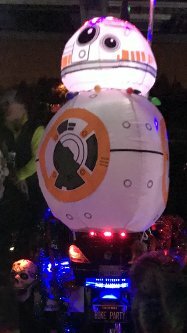 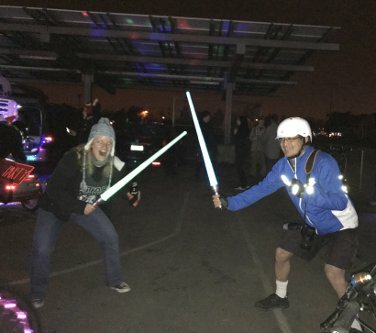 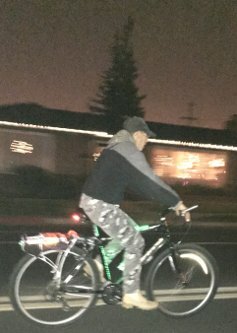 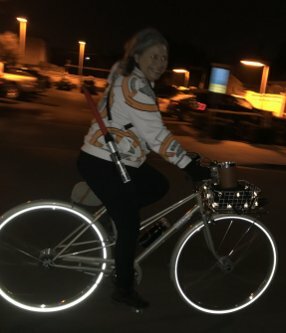 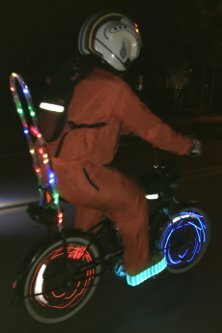 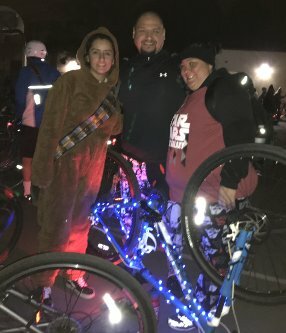 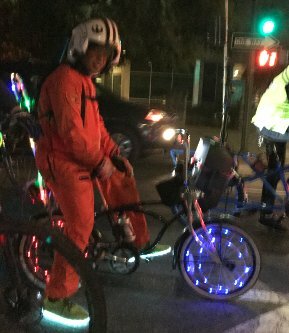 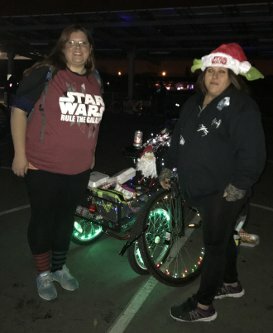 It was a Star Wars Christmas Lights Ride. 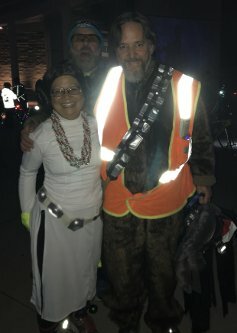 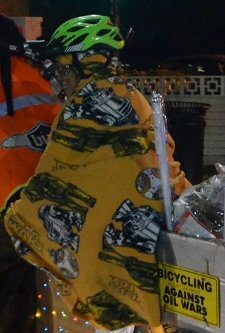 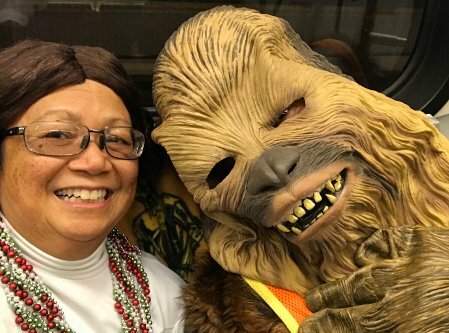 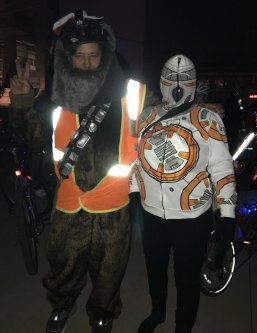 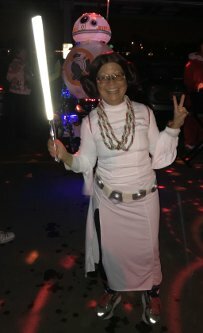 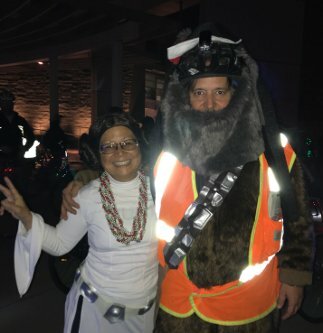 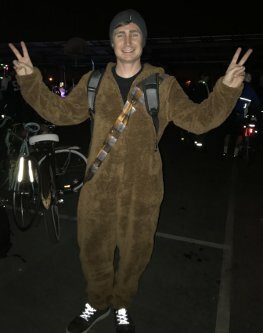 I got my wookie outfit on with two head covering options, depending on whether I wanted to see or be seen. 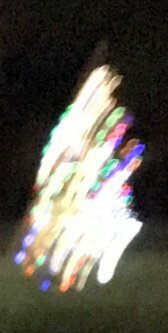 We were standing around and I realized I'd forgotten my camera. 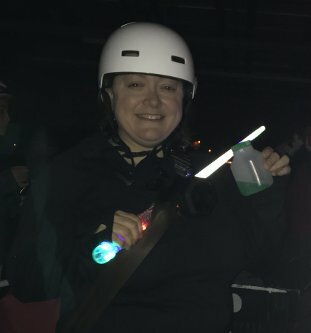 Virginia was like "No problem, I'll take pictures and give them to you on a thumb drive." 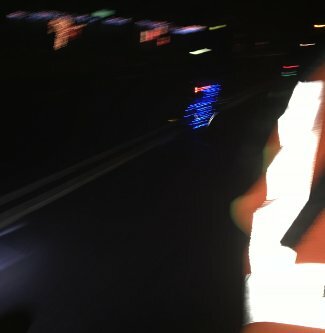 So these are her pictures, filtered through my editing. 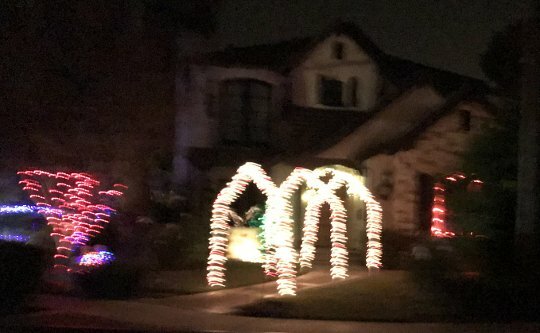 The very well lit houses we saw were easter eggs of eye candy. 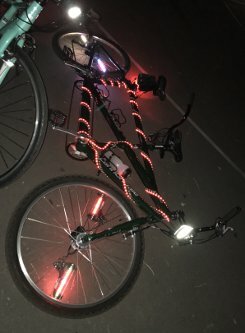 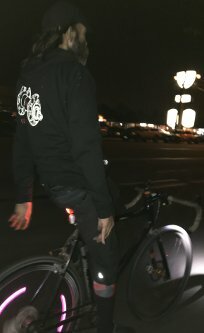 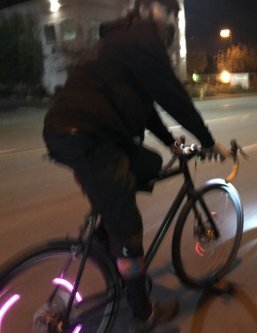 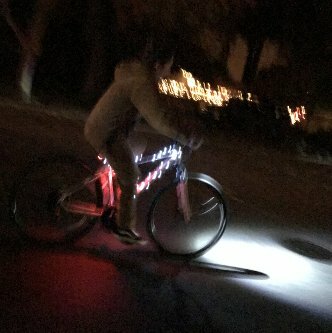 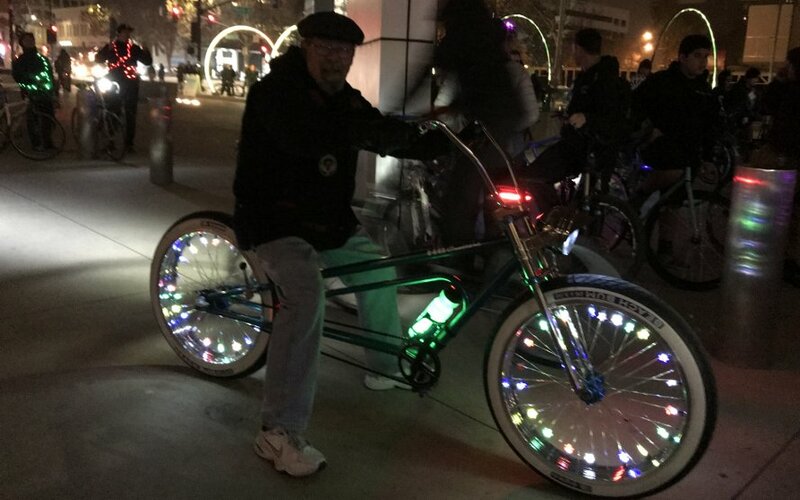 Well lit bikes were fun to. 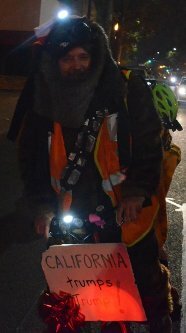 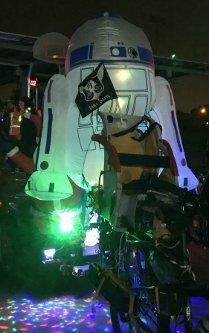 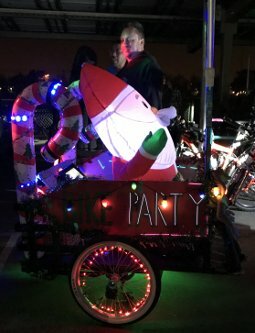 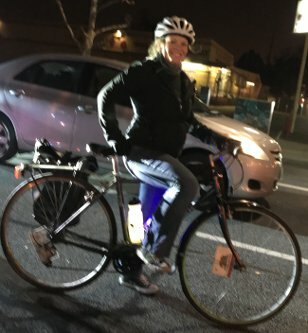 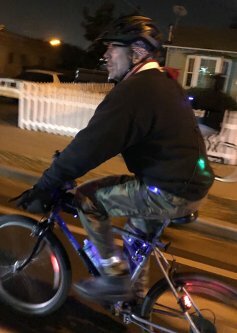 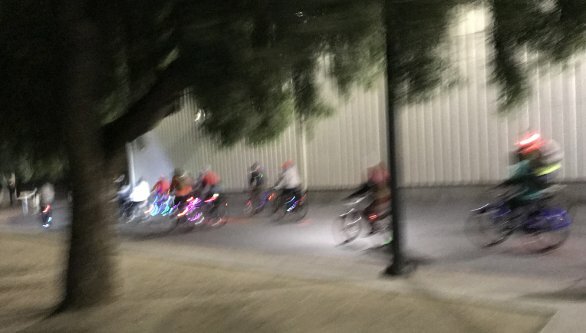 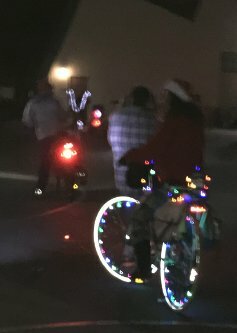 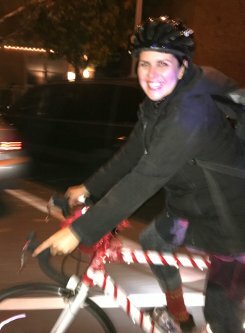 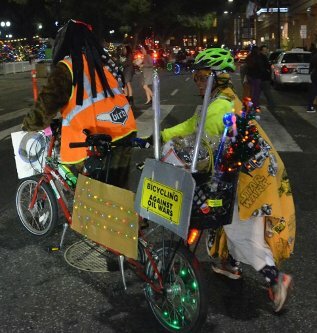 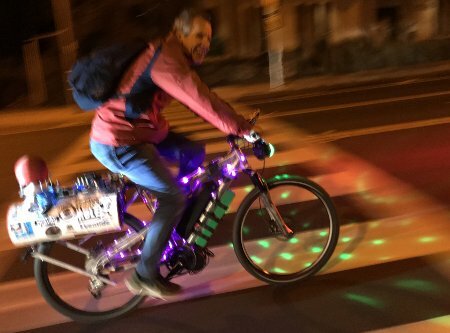 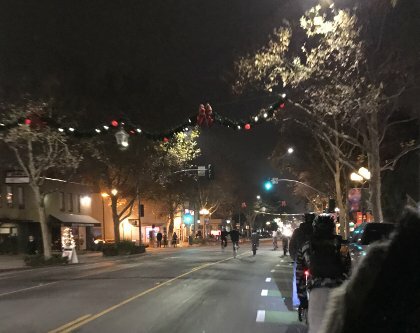 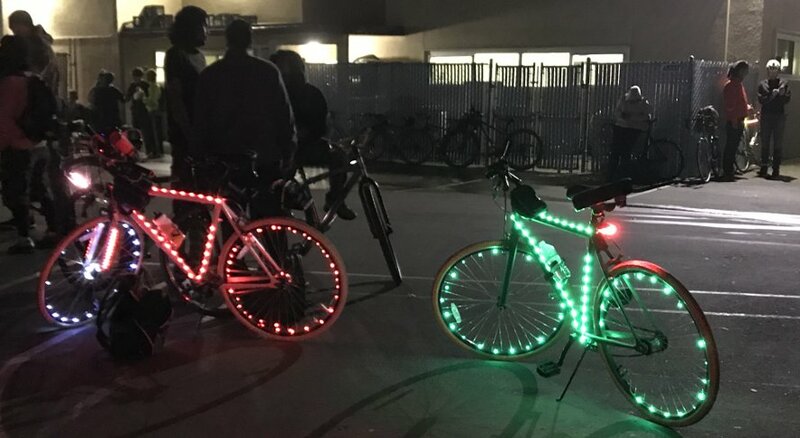 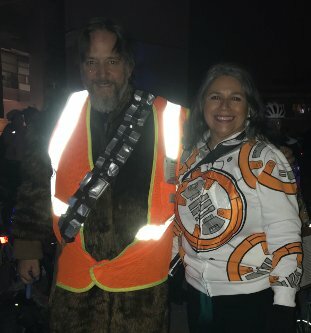 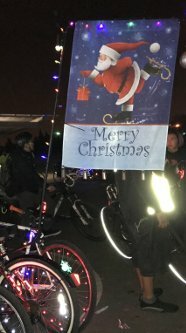 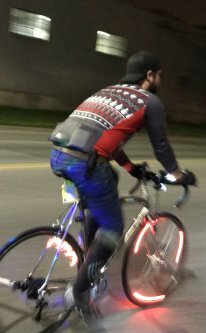 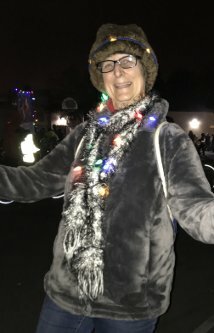 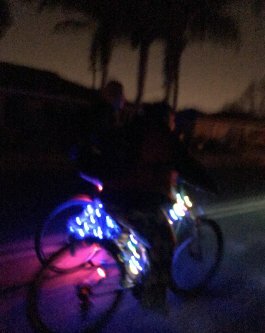 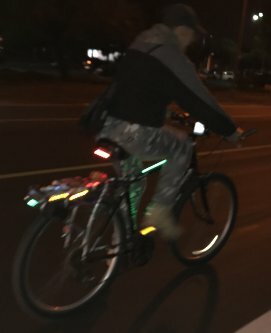 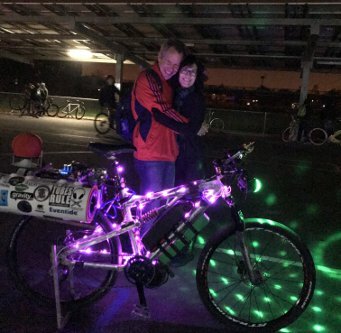 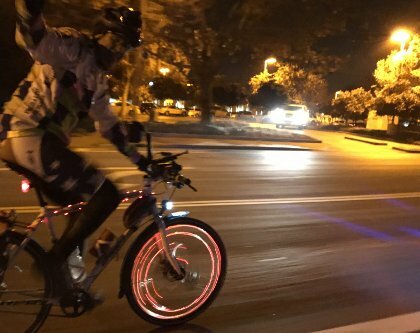 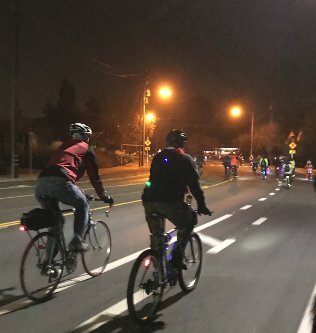 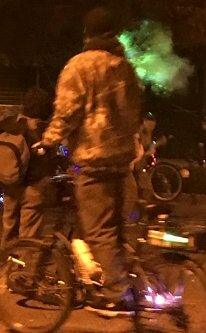 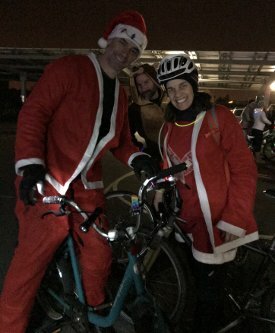 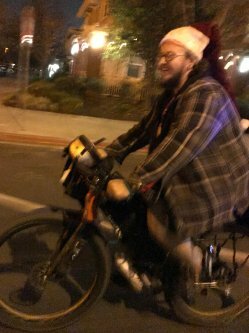 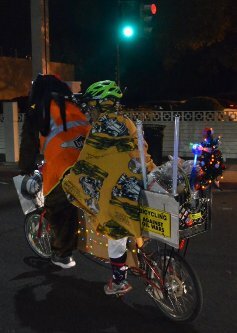 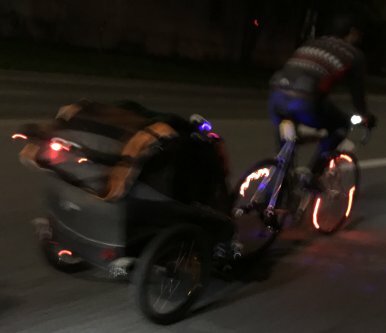 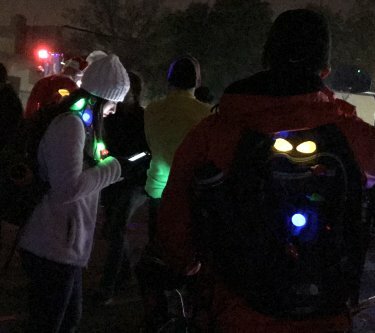 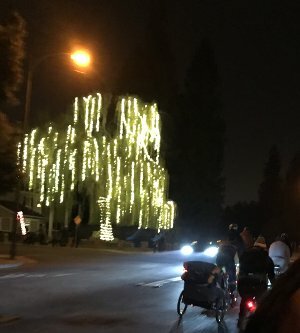 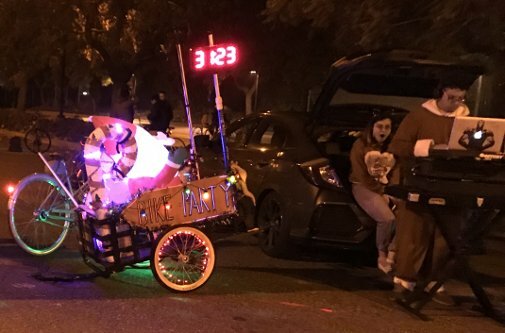 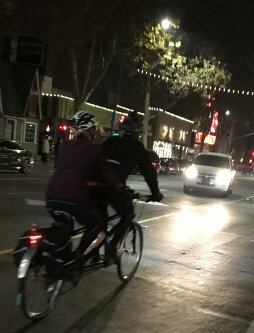 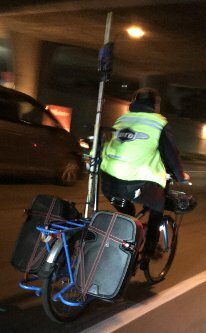 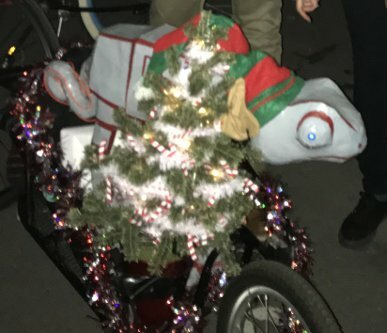 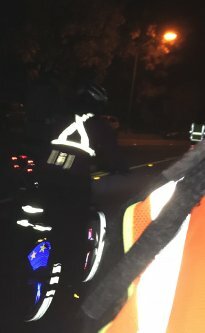 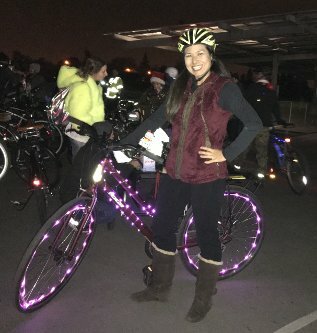 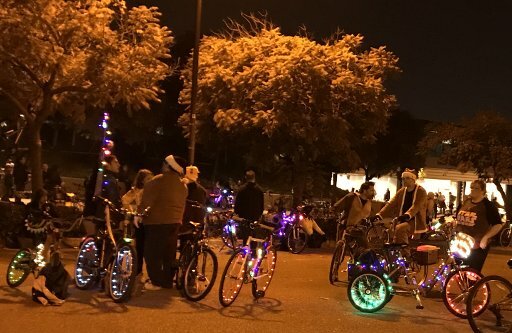 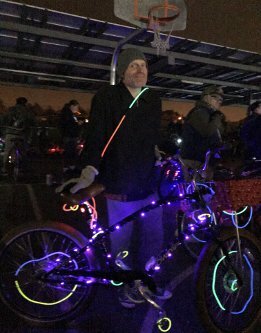 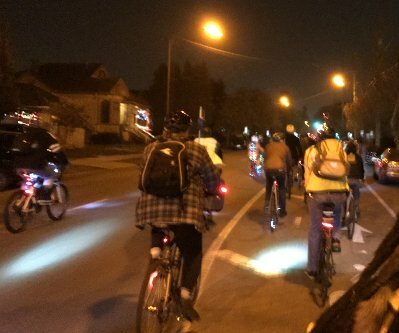 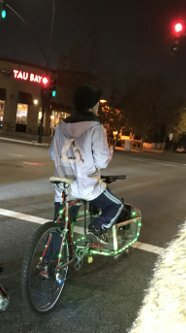 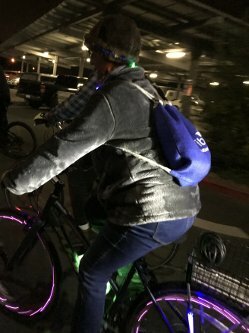 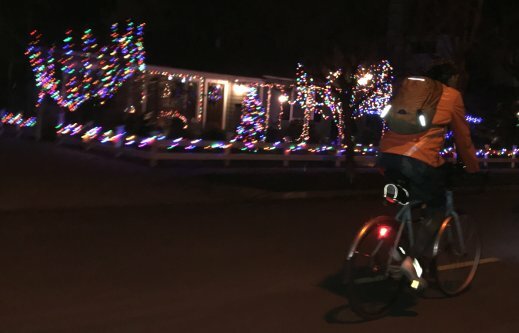 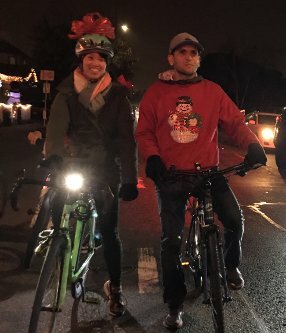 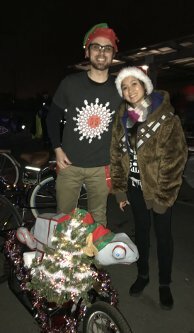 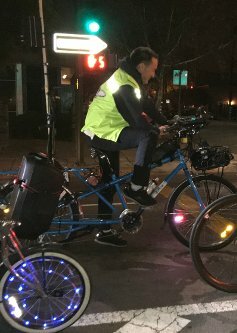 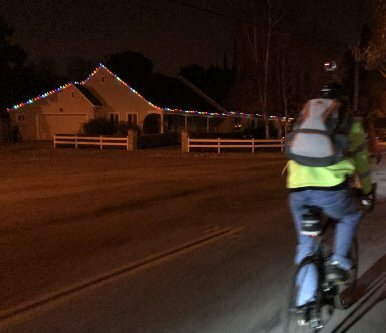 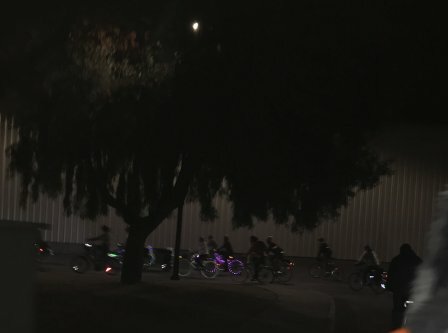 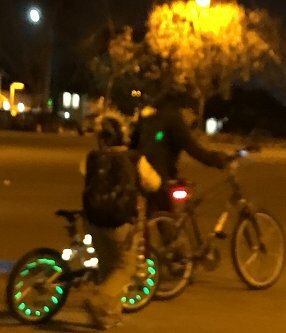 I enjoyed being part of this brightly lit bicycle parade. 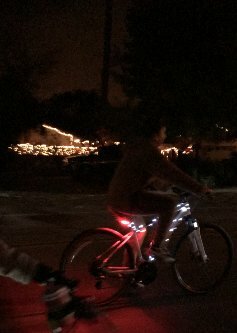 Lots of people watched us go by with amused and interested looks on their faces. 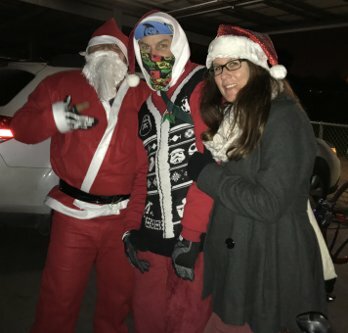 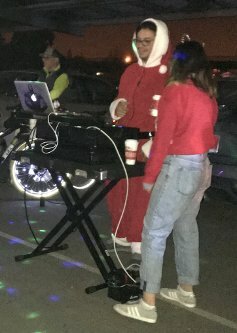 It was fun to yell out "Happy Holidays!" 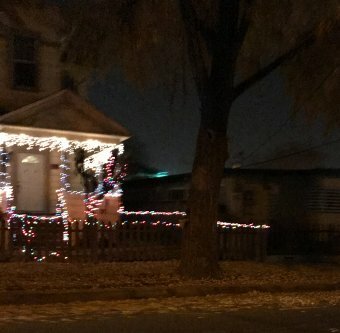 or "Merry Christmas!" 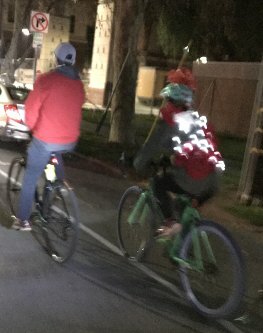 every now and then. 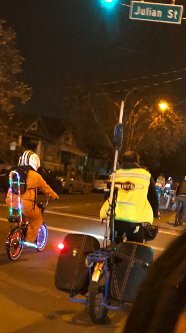 Some enjoyed responding in the same vein. 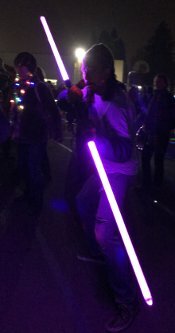 We spent a lot of this regroup dancing. 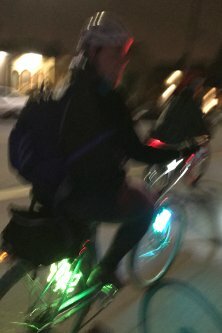 Sorry, no pictures taken during that time. 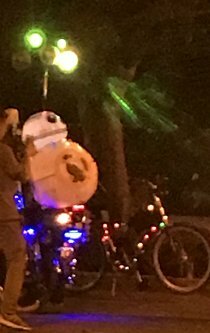 When the ride got to Christmas In The Park we made a beeline for the porta potties. 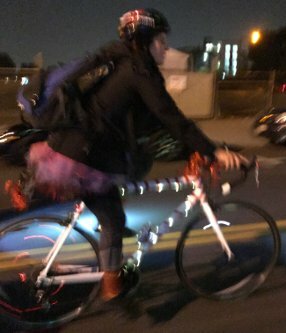 It had been too long since I'd seen a bathroom. 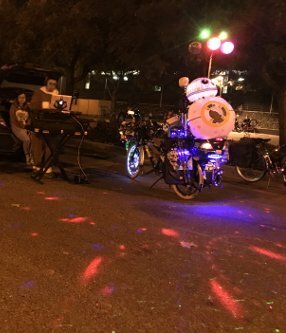 Remembering the good old days when there were bathroom services at the regroups fondly.